We've made it to Day 4 of the novena for life. Events are beginning in Washington DC in anticipation for the March for Life. Keep the folks shivering in the snow in your prayers - it's going to be a cold one. I saw a quote from the Governor of New York who said that pro-life people are not welcome in New York. That angers me. There. I said it. For you who know me, I can be somewhat militant. One of my friends calls me a "defender of the faith." I don't know about that, but I do consider it a compliment. However, my goal is to keep "Comfortably Catholic" non-militant. I may not always be successful, but I will try my best. Today I want to focus on prayer for those who disagree with the pro-life prospective. I know many of them are as ardent in their beliefs as I am in mine. I really want to dislike them. Ugly rhetoric and shouting matches will not bend hearts and change minds. Only God can do that. So today I'm praying for those who don't agree with me. Maybe God will change my heart too. You can find the prayers/reflections for today HERE. My days on earth may lead me home to you. It's Day Three of the 9 Days to Life, a novena to end the horrors of abortion. You can see the prayers and reparations for today HERE. While the primary victim of abortion is the unborn baby, there are other victims - mothers, fathers, grandparents and siblings. 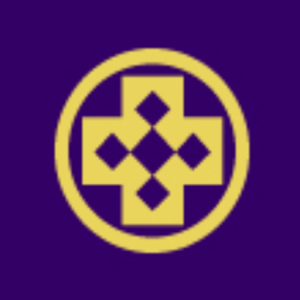 Rachel's Vineyard offers healing for the other victims of abortion and conducts retreats all over the country. Silent No More offers the victims of abortion an opportunity to tell their story. It's not enough to pray for an end. It's important that we pray for the other victims. A Gospel of human dignity. Welcome to Day 2 of the 9 Days to Life, a novena to end abortion. If you are seeing this for the first time, a novena is a 9 day prayer commitment for a specific intention. If you would like to start today, you can see Day 1 and start anytime. Being pro-life can be complicated. There are so many ways to protect the sanctity of life. The bottom line is this - life begins at conception and ends at natural death. If you would like to continue the novena on Day 2, you can find it HERE. Did you know there are several ways to join the 9 Days to Life? You can get an app for your Android device, send a text message or join by email. Find out more HERE. "For the Christian, [the commandment 'You shall not kill'] involves an absolute imperative to respect, love and promote the life of every brother and sister, in accordance with the requirements of God's bountiful love in Jesus Christ. . . It is therefore a service of love which we are all committed to ensure to our neighbor, that his or her life may be always defended and promoted, especially when it is weak or threatened." Please join me in praying for life. This week marks the 41st anniversary of Roe v. Wade. I don't know about you, but this video made me cry. The March for Life and the March for Life West Coast are taking place, but many of us cannot attend. However, you can do something! Participate with me in the 9 Days for Life, sponsored by the U.S. Conference of Catholic Bishops. Everyday for the next 9 days, I will provide the link to the prayers/activities for each day of the novena. (For those who might not be familiar with the prayer form, a novena is 9 consecutive days of focused prayer, usually for a specific intention.) It's OK if you start after I do. (I'm already a day late getting started, so add one day to the dates on the USCCB website.) A novena can be started at any time. The complete novena prayers for the first day of the novena can be found HERE. Then Job answered and said: Oh, would that my words were written down! Please join me on the 9 Days for Life and let's pray to end the destruction of more generations. One of the reasons I started writing "Comfortably Catholic" was to pass on the huge number of great resources that are now available for education, prayer and reflection. While many are traditional resources (books, DVDs, etc), the more exciting ones are websites, podcasts and applications for smart phones. Isn't this an awesome way to promote the "New Evangelization"? This one is soooo cool and it will take you WEEKS to drill down to all the information it puts right at your fingertips. It is touted as the #1 Catholic app and is available in 12 languages. Get this - it has nearly all the essential resources you need to be a great Catholic, and some you didn't even know you need. Here's what it includes: the New American and Douay-Rheims Bible, the Catechism of the Catholic Church, the Rosary and Divine Mercy Chaplet (and about 5 other chaplets I haven't even heard of), Daily readings, Stations of the Cross, Liturgy of the Hours, Saint of the Day, Vatican documents and lots of prayers. For prayers, including the Rosary and Stations of the Cross, it offers podcasts so you can pray along. Best of all, it's FREE! You can find it at the Google Play store for Android devices or the App Store for IPhones, IPads etc. Sorry, I can only find this for Android devices at Google Play and it's listed as "Free Rosary - Scriptural Ed." 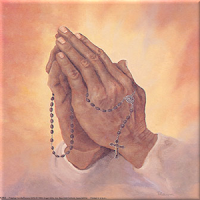 This is my favorite rosary, especially when I'm in the car and need an audio version. This Rosary features students from Franciscan University at Steubenville and between each Hail Mary, they read very short portions of the scripture that goes with the respective mystery of the Rosary, whether it is Joyful, Sorrowful, Glorious or Luminous. I find it really helpful to meditate on the specific event in Jesus' life. For those of you who are less than comfortable with the Rosary because you think the prayer centers too much on Mary, this is a great audio Rosary for you. Again, this one is FREE. This is a simple, free app that gives you the morning and evening prayers of the Daily Office. If you're like me and didn't really understand the Daily Office until recently, this is basically a self contained prayer service for morning and evening. It has different prayers and Scripture readings for each day, as well as intercessions and penitential prayers. I honestly can't say I use it everyday because it takes a while to get through each one, but it is a neat resource you can find at Google Play or the App Store. This app for IPhone is the one you may have heard about. It is a detailed examination of conscience to prepare for Confession. It doesn't just list the commandments, but goes into detail at the nuances of sins. You can pick the sins you have committed and add them to your list for easy reference when you go to Confession. This app is not for children under the age of 17 as it includes more explicit sexual or drug related sins. It is free at the App Store or ITunes. 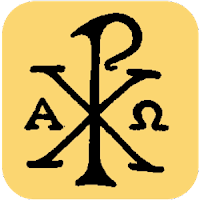 This app for Android devices appears to be a lot like Laudate, but also includes an examination of conscience, numerous versions of Catholic Bibles and the Pope's Twitter feed! Everything you need for free! So, that's my first attempt at getting some resources out there. If you have never checked out some of these (or other) handy apps for your phone, now is the time! You probably have apps for all kinds of other goofy things on your phone, why not have something useful for your spiritual life? Keep watching for more Catholic links. I was very lucky to have 12 years of Catholic school - elementary and high school. A mainstay of my education was the presence of sisters who taught us so much more than reading, arithmetic or even theology. I've heard all of the stereotypes about how nuns were so strict and harsh in their discipline. Some of that is true. In first grade, I remember Sister Mary Christopher pulled my hair to keep me in line for the lavatory (we didn't use the word "bathroom") because I was distracted by the second grade. While their methods would sometimes be a little over the top by today's standards, I guarantee people remember the lessons they learned about discipline. These holy women were so much more than physical discipline. I can safely say I learned so many more life lessons than I even recognized at the time. In the third grade, Sister Mary taught us how peer pressure could be a positive force in school (and society). When you lose your recess because one kid was being a jerk, you learn quickly two lessons: (1) In society we are our brother's keepers; and (2) Life is not always fair and the actions of one person can negatively affect the lives of others. When I meditate on those truisms, I again recognize how dangerous relativism is in our culture today. As I grew older, the dear sisters were role models for me. I think some of them thought I would make a good nun because I noticed they were "cultivating" me in the 7th and 8th grade. While my vocation was ultimately not toward the vowed religious life, I acutely feel the loss in the fact that my children will not get a first hand view of various alternatives in life vocations. It's so sad that even though one of my children attends Catholic school, there are no sisters there to teach. I miss them. Of course the sisters did teach practical theology. My first experience in liturgical ministry began in 4th grade with the guidance of Sister Helen who taught us how to be good lectors. That also translated well to public speaking and my profession as an attorney. I also specifically remember Sister Frances Xavier, an older, very traditional sister in full (long) habit who taught us in the 7th grade. She was very imposing, but you can bet we never showed her the slightest disrespect. She taught us all the details of the mass, including the names of all the liturgical garments and vessels. While I can't profess to remember the names of everything, I do understand the significance of each one. I also will never forget Sister Frances Xavier sternly warning us in a loud voice that using the term "Goddamn" was asking God to damn the person or circumstance to everlasting hell. You can bet I don't ever say that word and it's not just because it's the second of the Ten Commandments. As I entered high school, the influence of the sisters was even greater. My elementary school sisters were School Sisters of Notre Dame but most of the sisters in high school were Adorers of the Precious Blood. They wore these cool heart pendants with small relics of their foundress. Sister Catherine Burke was a pistol. She taught discipline for life. She used to say she would never teach sophomores because they were "jackasses" and she also had the most pithy sayings that I frequently repeat to young ladies: "A gum chewing girl and a cud chewing cow; there is a difference I avow; there's a wiser look on the face of the cow." Some of the things they said at the time seemed so unfair and contrary, but they come back to me often, even as I approach 50 years old. Sister Catherine used to say she wished some of her more successful students could fail a course or test in high school so we would know the feeling of failure. She recognized that we could not escape failure at some point in life. After I experienced the shock and bitter disappointment of not receiving a job offer from a law firm after my second year of law school, I remembered her words and wished I had failed in high school too. My all time favorite nun, Sister Olivia Forester, was my latin teacher for four years. She was elderly and had seen so much as a former principal of an all-girl Catholic high school and as a guidance counselor. We spent more time "daisy picking" (as she called it) during latin that we wondered how much of the language we were actually learning. Oh, but she taught us so many important life lessons. She made us recognize the respective values of a woman's vocation: "I have touched the lives of so many more of 'my children' than you will ever do as a mother," and "The hand that rocks the cradle rules the world." She also warned us of the challenges of surrounding ourselves with people who did not share our values. She strongly encouraged us to attend Catholic universities and not to marry non-Catholics. At the time we thought these were such provincial attitudes; now I realize she was trying to shield us from the undue complexities of life in a secular world. God graciously bless them all! I know many (most?) people have packed the Christmas decorations away, some as early as Christmas night. I'm still sitting here looking at our Christmas tree and all the assorted decorations around the house. I would like to say I have some liturgical or traditional reason for that, but the truth is we just haven't had the time. Unfortunately, it looks like the decorations will stay up until next weekend. In order to hang my liturgical or traditional hat on something to justify this lack of Christmas closure, I looked into when the Church officially "ends" Christmas. This may sound strange to many - doesn't Christmas end on December 25? To that I can emphatically say no. Like other liturgical holidays (Easter and Pentecost), the celebration doesn't end on the day, but at a minimum extends through the octave (a week after the holy day). O.K., that should take us to January 1, right? Well, not exactly. Most Catholics and many Protestants extend Christmas through Epiphany. After all, if the wise men show up to bring baby Jesus gifts, how will they find Him if the nativity scene is packed away? That is why many Catholics wait until Epiphany to pack the Christmas stuff away for another year. That still doesn't give my family a leg to stand on with regard to why our tree is still in the living room (other than the obvious laziness). 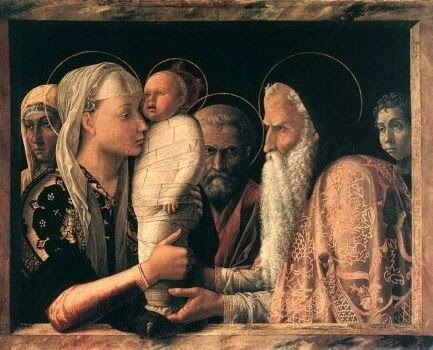 I'm going with Candlemas as my next Christmas season ending date. Celebrated on February 2, Candlemas is also called Feast of the Presentation of Christ in the Temple or the Purification of the Blessed Virgin Mary. It celebrates the first introduction to Jesus in the Temple. According to Mosaic law, a woman only could enter the temple for ritual purification 40 days after her male child was born. This was also the same time the child would be "presented" in the Temple. For Jesus, this presentation was met by old Simeon and the prophetess Anna. Luke 2:29. Simeon had long waited for the coming of the Messiah and recognized Jesus as that person. 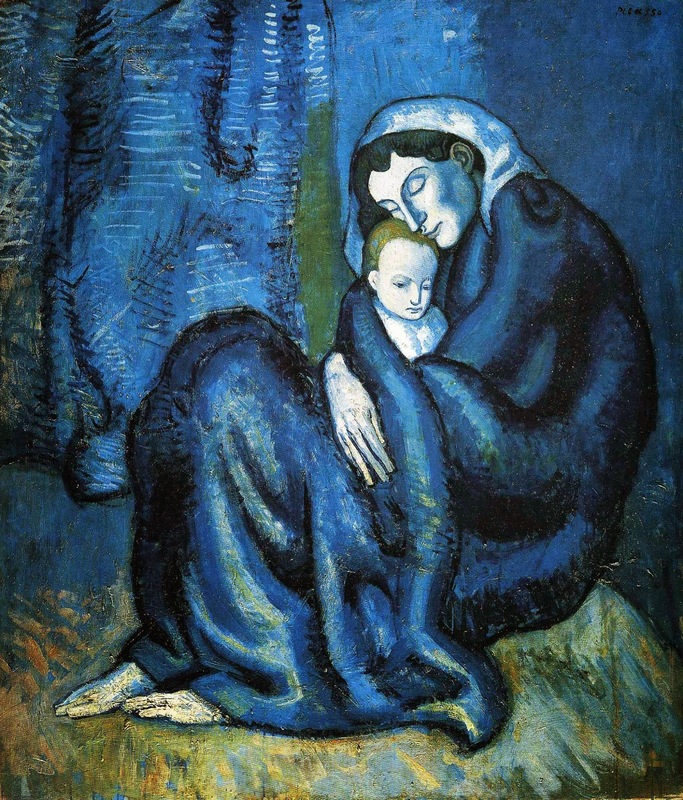 Holding the baby, he praised God saying: "Now, Master, you may let your servant go in peace, according to your word, for my eyes have seen your salvation which you prepared in the sight of all the peoples, a light for revelation to the Gentiles, and glory for your people Israel" Luke 2:29-32. We call this the Nunc Dimittis. 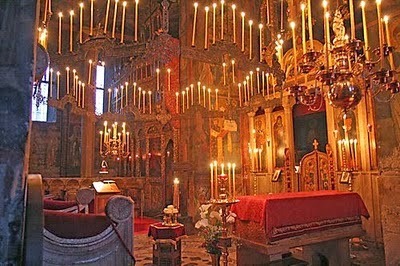 One liturgical tradition for February 2 is the blessing of the candles. According to the Catholic Encyclopedia, the priest would bless the candles (always beeswax) and then hand them out to the congregation who would process through the church (or outside) to represent the light of Christ entering the temple. This would be accompanied by the choir singing "Nunc Dimittis" and other hymns praising the Virgin Mary. So, this is all an elaborate lesson to justify the fact that our Christmas decorations are still up. I doubt we will leave them up until February 2 (but hey, that is an option! ), but I think I have bought us another week or two. Merry Christmas, Epiphany and Candlemas. Not Getting Anything Out of It? Recently I heard an interview with Cardinal Timothy Dolan and he was asked about the crowds who come to mass on Christmas but disappear by Epiphany. He said that although it was disappointing not to see all those people every week, it was good that they came once a year so they could be open to the graces of the mass. When asked why they didn't attend regularly, Cardinal Dolan said that many people complain they "don't get anything out of it." I know for so many years as a teenager I felt exactly the same. Truthfully, sometimes I still walk out of Sunday mass feeling I didn't get anything out of it. I have to remind myself that I'm not there to be entertained, but to give God the worship and praise He deserves. I get "entertained" everyday looking at the beauty of God's creation. Shouldn't that be enough for me? Why do I think I should be entertained at mass? I remember the years when I wasn't quite so faithful about attending mass every Sunday. Before my husband converted we attended a congregational church where he worked as an organist. The people there were wonderful, the pastor was a great friend and their services were very nice. No matter how nice, friendly and wonderful the church was, I was missing something. It took me a while to recognize it, but it was the Eucharist. No matter how reverent they were, the bread and grape juice the congregational church passed around every month or so could not replace Jesus in the Eucharist. I needed the grace I received from the True Presence (body, blood, soul and divinity) of Jesus Christ in the Eucharist. I longed for Him even if I didn't "feel" it every Sunday. So on Sunday when I might not "feel" it as I approach the altar to receive Communion, I will tell myself I'm getting the most precious "something" out of mass. I'm getting an encounter with Jesus Christ in the most intimate way possible. 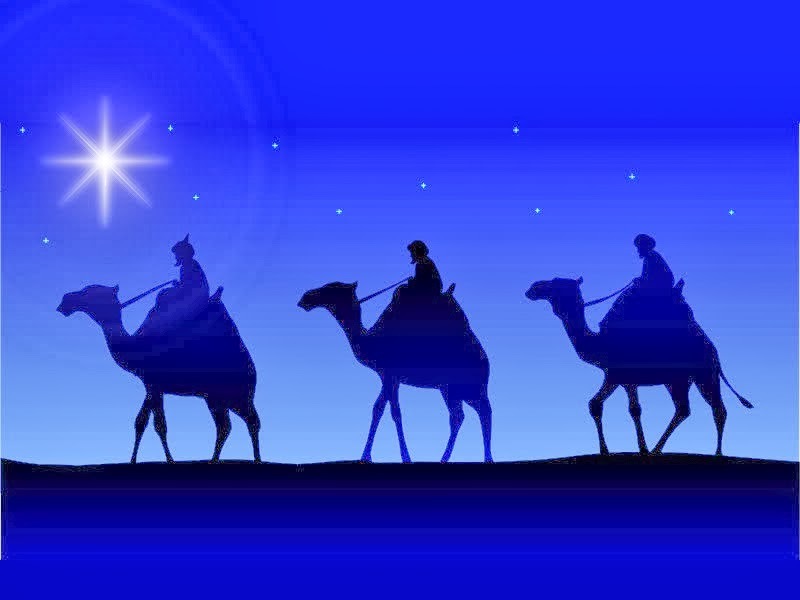 This Sunday is Epiphany, a celebration of the coming of the Magi, the three kings, to worship the baby Jesus. I think, well of course they came to worship Him! After all, He was predicted by prophesies, astrological signs and born of a virgin. Well isn't that a nice Monday morning quarterback version? The Magi were wealthy, royal men from the far East, not Jews, who studied the signs FOR YEARS in an effort to find a personage of epic proportions. They brought gifts of great value fit for a king. They studied the stars and followed one a great distance. What did they find? They found a baby in a little backwater town born in a dirty cave to a young poor couple. Did that deter them? Nope, they laid down these expensive gifts on the dirty cave floor and worshiped a baby lying I'm an animal feed bin. Talk about counter-cultural! Why are we surprised when Pope Francis serves juvenile delinquents in prison on Holy Thursday or kisses a horribly deformed man in a crowd of "normal" people? He gets it. Jesus can be found in the most unlikely places, even though I expect Him in the actions of the powerful. My expectations are unrealistic. I need to pay closer attention to all people, not just the rich, powerful or important. I think I also to keep my eye on that guy who, like the Magi, "gets it". Epiphany isn't about the rich guys who showed up in Bethlehem, it's about the poor newborn baby they found. Today, January 1, 2014 is the Solemnity of Mary, Mother of God and also World Day of Peace. What a great day to begin "Comfortably Catholic"! I already write a lifestyle blog "Straddling the Gap" but have long wanted a forum to express my faith. 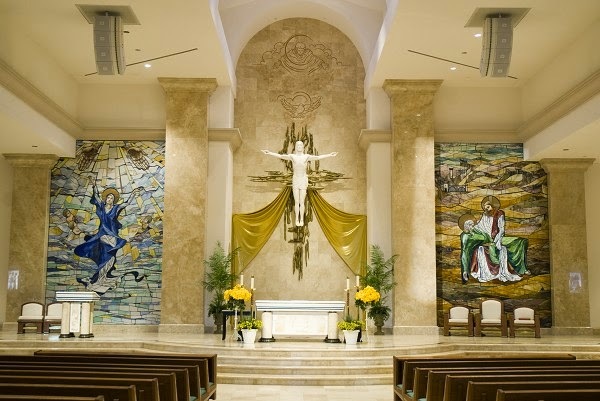 Comfortably Catholic describes where I want to be in my faith journey; not "comfortable" in the sense of complacent, but more relaxed, assured, peaceful in my faith. In a world where peace is at a premium, my goal for 2014 is to be at peace. As difficult as world peace seems, I think maintaining personal peace can be harder. I love my faith and I love Christ's Church, but sometimes I feel militant and protective in defending it. 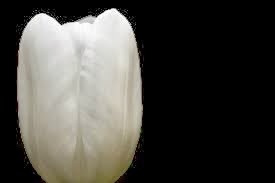 There are times when that approach is necessary, but, following the example of Pope Francis, this is a time for proclaiming the truth of Jesus Christ with kindness, respect and peace. Mary is the ultimate guide to inner peace. Despite the turmoil all around her, the fear, the poverty, the responsibility, she modeled a peaceful faith in God. In return, God gave her the graces she needed to be Theotokos - Mother of God. She constantly points us to the only source of peace which is found in a relationship with her Son, Jesus Christ. He's the source of her peace and He can be the source of ours too. Today I pray for peace. Peace for the world. Peace for myself. Peace through Jesus Christ. Be still and know that I am God Psalm 46:10.